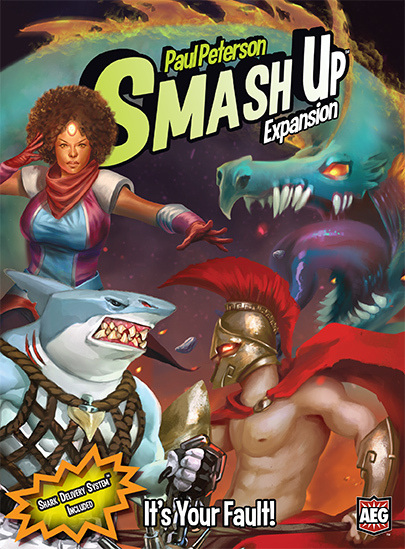 Home Boardgames The latest Smash Up Expansion has a secret bonus faction! 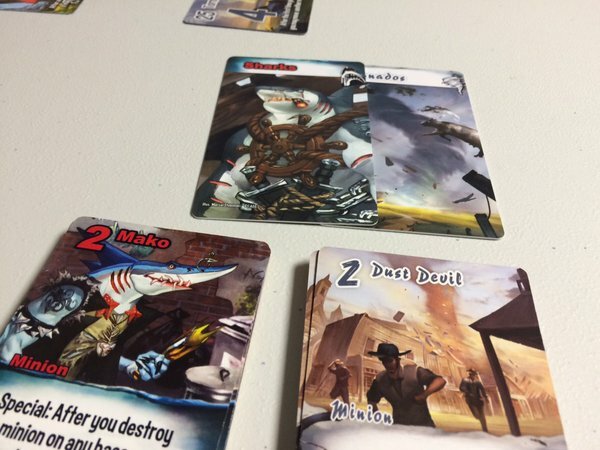 The latest Smash Up Expansion has a secret bonus faction! The cat is out of the bag! 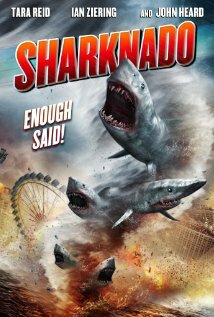 Or, in this case, the TORNADOES are out! That’s right. 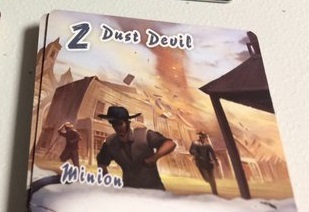 Proving that nothing really is off limits in the wacky world of Smash Up, AEG has upped the ante by including an extra fifth faction in the latest It’s Your Fault expansion: the dust deviling, base-swapping, unpredictable Tornadoes! And they’re including it for FREE! The SRP remains at USD19.99. How cool is that?! But why Tornadoes, you ask? 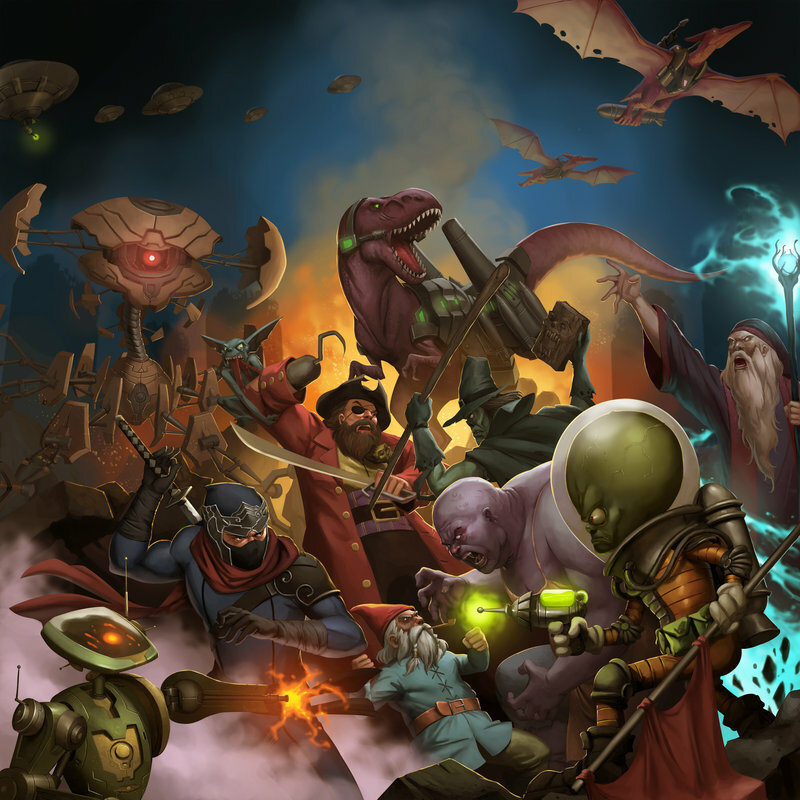 Well, if you recall, the It’s Your Fault expansion was the product of a successful marketing campaign AEG did a couple of months back, wherein they asked the internet to vote on which factions they’d like to see join the world of Smash Up. While my Luchadores didn’t quite make it (who the hell doesn’t like Luchadores?! ), the winning foursome were: Dragons, Greek Myths, Superheroes, and Sharks. And while were bound to see some great tongue in cheek jokes, given that faction lineup, anytime you talk about Sharks… you definitely need to talk about… no. You can’t help but talk about…. How about you guys? Which factions are you looking forward to playing? Which factions from the previous releases are you looking to pair with these new ones? Let us know in the comments below! Previous articleCaptain America: Civil War Trailer #2 hits… AND SPIDER-MAN FINALLY APPEARS! Next articleGaming Library brings the Pandemic Survival Tournaments to Manila!